The very popular and exciting Max Carruthers takes on Derrick McGrath. Both athletes love to let the leather fly and both are extremely fast and aggressive. McGrath nixed a chance to fight in England at the K-1 World Championships. He has wanted to face Carruthers for quite some time and he gets a chance to do so for the Challenger Featherweight Muay Thai Title. The ever exciting Blake Weigel takes on the up and coming star John Nguyen in the second title bout. The two will mix it up for the Challenger Super Welterweight Muay Thai Title in what will be an action packed scrap. The final title bout features Scott MacKenzie battling against Drew Vandervelden for the vacant CMTC-A Western Canadian Super Middleweight Title. The two were to fight for the title in April but the event doctor nixed the bout due to an issue. The two now get the chance to set the record straight. 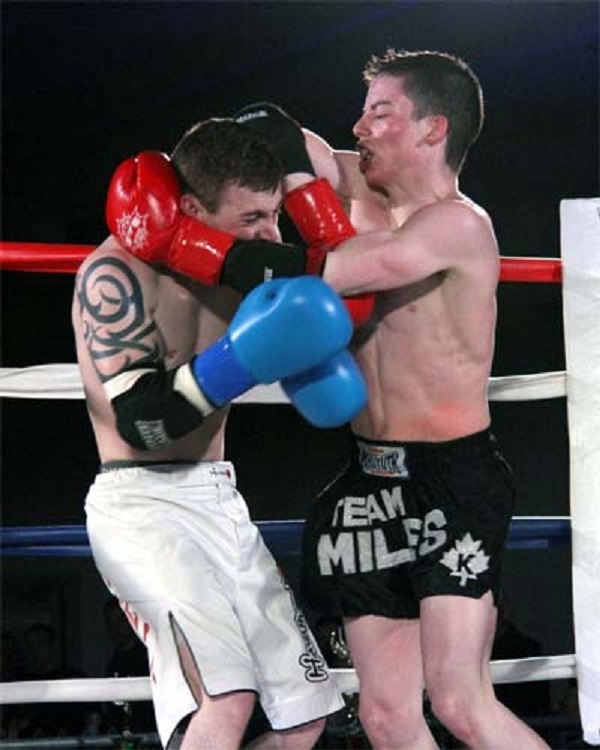 This entry was posted in Features and tagged Calgary, Canada, featured, Mike Miles, Muay Thai. Bookmark the permalink.